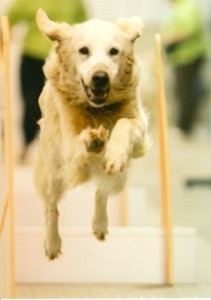 Scoop, my second Wynword Golden Retriever, was always happy to play flyball, agility, tracking and water sports. In the pool, at the lake or on the beach, she treaded water and hunted for underwater treasure. 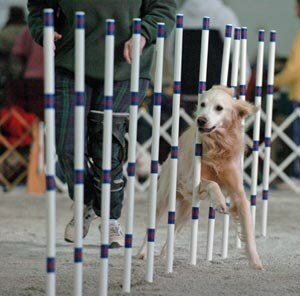 She held “it” in place or moved “it” to shallower water with her hind feet and then surfaced dived to retrieve. Most often the treasure is a roundish rock, tennis ball size. She loved to fish. 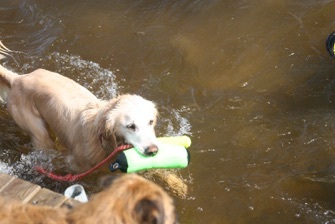 However, she lept overboard to retrieve the fish. She never hooked herself and she was not good at taking turns and any thrown object into water was obviously hers.